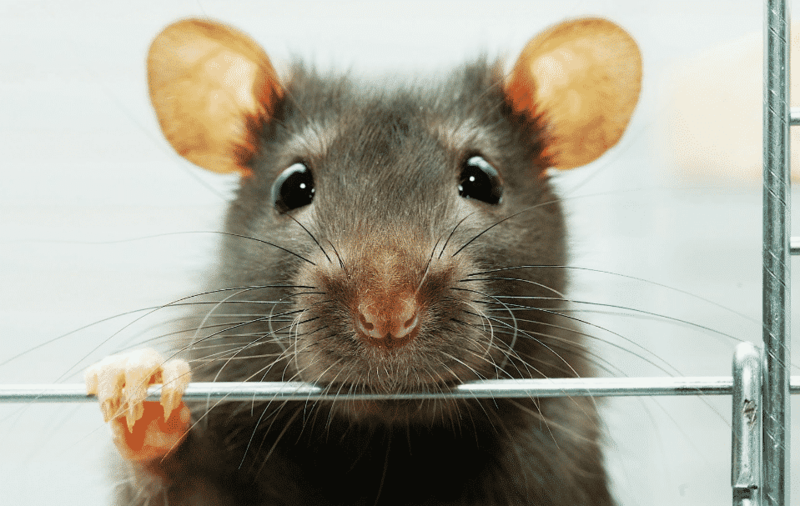 If you are planning on buying a cage designed specifically for mice, make sure it is not too small to provide enough living space for these lovable little rodents. 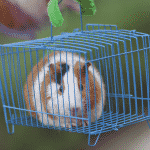 Don’t go for larger cages such as those for guinea pigs or hamsters just because of their size: these usually have more than a quarter inch of space between the bars, which makes it easy for mice to escape. Most mice cages are light and have a detachable assembly, which provides easy cleaning and a wide variety of styles means you can pick one the whole family will like and which will compliment your home decor. Mouse cages consist of wire construction which usually sit on top of a detachable plastic base and often have different levels for your mice to explore. You should avoid very tall cages since mice have poor eyesight and can be seriously injured in a fall. Look for a quarter inch or less between the wires to prevent escape as mice can easily squeeze through very small gaps. As a rule of thumb, if their heads fit through the opening, their bodies will make it, too. As for accessories, solid platforms and ramps are preferred as wire flooring can be uncomfortable or even cause injuries to small paws. You can easily modify wire surfaces by covering them with mats readily available in pet supply stores. Since bedding material often gets kicked out of wire cages, particularly if the base is shallow you should go for cages with taller base, especially if there are carpets around the cage area. Mice sure like exercise wheels, but if you think that a small wheel will be good for mice because mice are so tiny, small wheels are not as safe as bigger ones. Your furry snoops need to be able to run without bending their back so, in order to prevent injuries, bigger wheels are a far better option. Another important wheel feature is the material and design. A solid plastic wheel is much safer than a wire one. 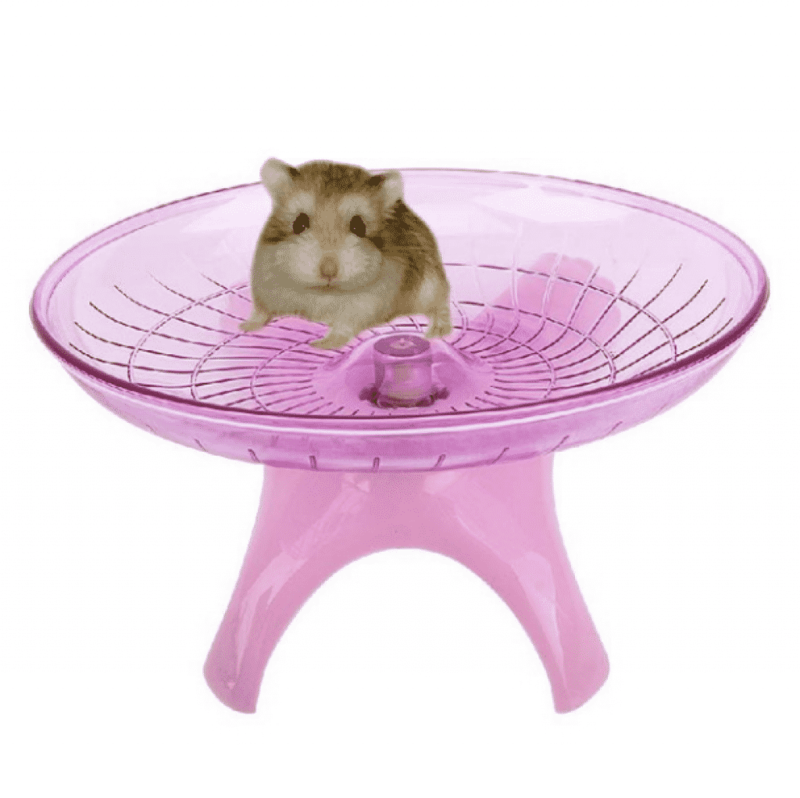 Your mice can easily catch their feet or tails between the wires so we strongly recommend buying a plastic exercise wheel. Your mice will also enjoy toys in their home. Look for cages with more toys, tunnels and slides. Remember to try out putting a hemp rope tightened across the cage or hanging from the top because mice love to climb, too. In colder climates aquariums, that is glass tanks, can be used, too, with a few considerations in mind. Avoid aquariums smaller than 10 gallons unless you need to isolate a sick animal or provide temporary shelter for a nursing mommy mouse and her litter. Consider not only size but shape as well. Go for a long aquarium rather than a tall one. This is not just because the unused height, but also to provide good ventilation as ammonia from mice urine together with the droppings around carry potential health risks, particularly for the respiratory organs. Final verdict from the mice friendly jury: wire cages offer better ventilation and different levels allow mice to snoop freely in their cozy home. Horizontal bars encourage climbing and provide an easy way for you to attach platforms and other furnishings, which simply isn’t possible with glass tanks. Savic Mickey from Lixit Animal Care comes with metal wire platform, a drinking bottle, a shelter, one exercise wheel and a feeding bowl. This solid metal cage measures 31.5x20x15 inch. It’s extremely large and more than meets the minimum size standards for keeping mice healthy and happy. This cage is made with mice-safe plastics which are non-toxic and there are no sharp edges which might cause injuries. Your nosy little friends will love the extra room and feel very much at home and at ease. The wires are close enough together so no mouse can escape. The top of the cage has handles and the sides have a locking feature to keep the wire cage securely tightened to the base. Blue colored bottom plastic base is just over 6 inches deep and that means you can put a fair amount of bedding in there without having much spillage. In addition, there's a lip all around the cage which is a big plus as it catches stray food and pieces of bedding. The doorway is big enough you can reach in and get to any part of the cage, so you won’t have problems taking things out or putting furniture, toys or the little ones in the cage. Savic Mickey has a wire ramp leading to a wire platform on the second level. Since we see that as a minor cause for concern, we recommend that you adapt these two features for your pets’ little feet. Pad them with a solid surface material to prevent injuries. Also, if you take the cage top off with the second level attached, be aware that if your mice are still in the cage at the time, they could easily run up the ramp and escape. Pay attention to that and warn the kids, too. CritterTrail 2-Level Habitat provides your mice with plenty of room to play, climb and roam. It comes with a food dish, water bottle and exercise wheel. The front wire doors allow you to easily access your mouse or mice at any time. This brightly colored mouse cage includes everything you need to welcome your pet home. The uniquely designed home features a patting zone on top and a safe and silent exercise wheel for endless hours of exercise and play. It will provide your small furry friend plenty of room to roam. The brilliant design gives pets safely confined living space inside, outside and on top of the home with a Petting Zone area which allows you to easily interact with your pet. The bright, translucent plastic components not only look great, they offer your pet some of the camouflage he instinctively seeks although he’s in safety of its home and not in danger. Wire mesh and plastic construction offers adequate ventilation and protects pets from drafts. As for accessories, CritterTrail comes with 1 (10 oz.) Water Bottle, 1 Durable Food Dish, 1 Safe & Silent Exercise Wheel, 2 Comfort Shelves, 1 E-Z Climb Bubble Wave Funnels and 1 Snap Lock Bubble Plug. Quite a few cool items included in the price are certainly a bonus! With expandability ports which allow connectible accessories to be added, you have even more furnishing options. Easy to clean construction with deep base and well ventilated, playful environment will make your pets and you happy. You will also have a piece of mind knowing that all the materials used are the result of Super Protect Technology which made it possible for all interior surfaces to provide a healthy and safe mouse habitat. Spin City Health Club Habitat promotes healthy activity for your mice. It includes features such as a Critter Cyclometer, which counts laps which your pet runs, a slide and a teeter totter. Meanwhile, a durable cage design makes assembling and cleaning a breeze. This multi-leveled habitat with a variety of fun gadgets for mice and gerbils alike offers a variety of fun toys healthy for pets and fun for their owners. It features an exercise ball attached to a cyclometer which shows exactly how many revolutions the wheel makes, a pet teeter-totter, and a slide. There are also easy maintenance features, such as a drip-resistant water spout and deep litter tray to avoid spills while the drip-resistant bottle prevents mess. This versatile habitat can be used for mice, hamsters, gerbils, or dwarf hamsters and its innovative design will keep everyone happy with three entertainment options which guarantee pets plenty of exercise and a lot of fun for the whole family, too. Spin City Health Club Habitat features easy and quick snap-together assembly and the included cyclometer, dry erase pen and chart help you track your pet's exercise habits. The top of this 18 inches x 9 inches x 14 inches cage Top opens fully for easy access. 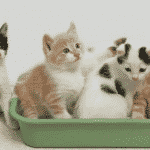 As for the cleaning, the deep litter tray will most certainly help to avoid spills. The food tray is dishwasher-safe for easy cleaning too. No hassle for you and a lot of healthy activities for your furry companions for the price. Kaytee CritterTrail Starter Kit measures 20" x 11.5" x 11" and is a full starter kit made by Kaytee with the same quality materials and equal devotion to your mice health, safety and comfort. Three or four fully grown mice would still be comfortable in this habitat. This fully furnished one level habitat will make your small animal friends feel happy and at home. The habitat features a removable patting zone so you can easily pat your mice or play with them whenever you want. The instant interaction with your pet area also doubles as a secure resting spot for your mice during cleaning. This cage also comes with a food dish, water bottle and exercise wheel. If you want to add more furniture and toys, this habitat is fully compatible to all CritterTrail accessories, so ne problem there. The front wire door allows you to easily access your pet at any time be it to take them out or put them back in. The ¼ inch wire spacing provides security for even the smallest furry friends. This habitat is very easy to assemble and super easy to clean. As for the minor cons, the wheel might get a bit noisy over time so you’ll need to oil it if the squeaking starts bothering you at night. Otherwise, the cage is solid, well made and cute looking with ample space and a lot of fresh air for the ever snooping mice. Kaytee Small Animal Pet Carrier includes real rolling wheels for playtime after a long day. When parked, the mice bus connects directly to any CritterTrail home providing critters with extra living space. Flip up the built-in handle and you get yourself a nice and practical carrying unit. It comes with a dashboard food dish, rooftop water bottle, and expansion opening. This cute unit can be used as temporary home while you are cleaning your mice habitat or as a convenient carrier if you want to transport your pets. The push bottom, flip down front door allows for safe and simple access to your pets. As all Kaytee cages, Small Animal Pet Carrier is completely compatible to all CritterTrail accessories so you can mix and match whatever you need. With the dimensions of 4.5" x 8.25" x 6.5", it’s obvious that this model is not a permanent mouse cage but a convenient unit to keep them while cleaning or if you need to take your mice to the vet or to your friends. It will connect to any CritterTrail cage with no problem. The water bottle included does seem to leak a little so we don't keep water in it when you aren’t using the carrier. Overall, it's not the sturdiest carrier but it will work just fine if you're gentle and understand it only serves its purpose for short periods. Its colorful design and cute appearance will certainly encourage your kids to take more interest in your little furry pets, which is a great bonus benefit. It comes apart easily and is easy to clean so your kids can help with that, too.